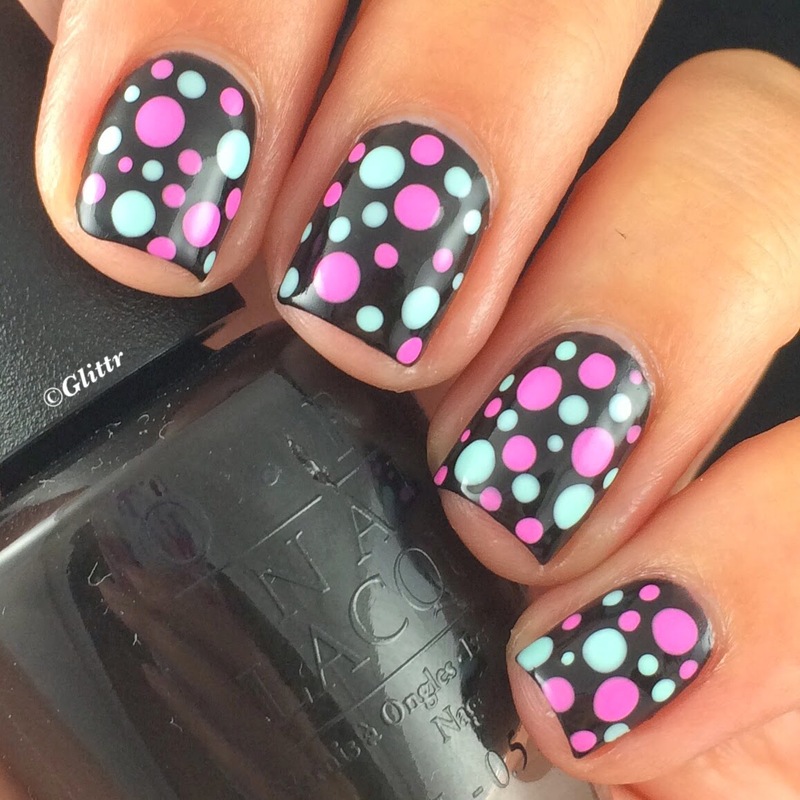 I did this little random dotticure the other day and I am IN LOVE! 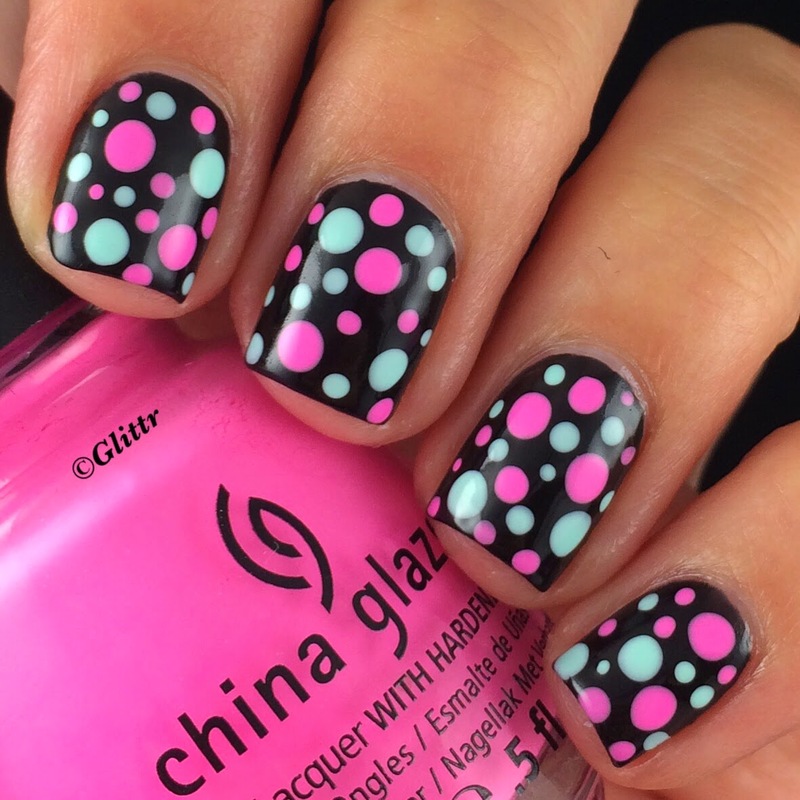 I love the bright colours on the black base and the whole look of this! 🙂 I used some of my favourite colours by ChinaGlaze, Bottoms Up (bottle shown above) and At Vase Value. Bottoms Up is my absolute favourite pink neon, it just pops so much and fits my skin tone really well! It also was the perfect match for At Vase Value, a very light blue that leans on the turquoise side – both are so pigmented that I didn’t even have to use a white base to make the colors show up over the black polish! 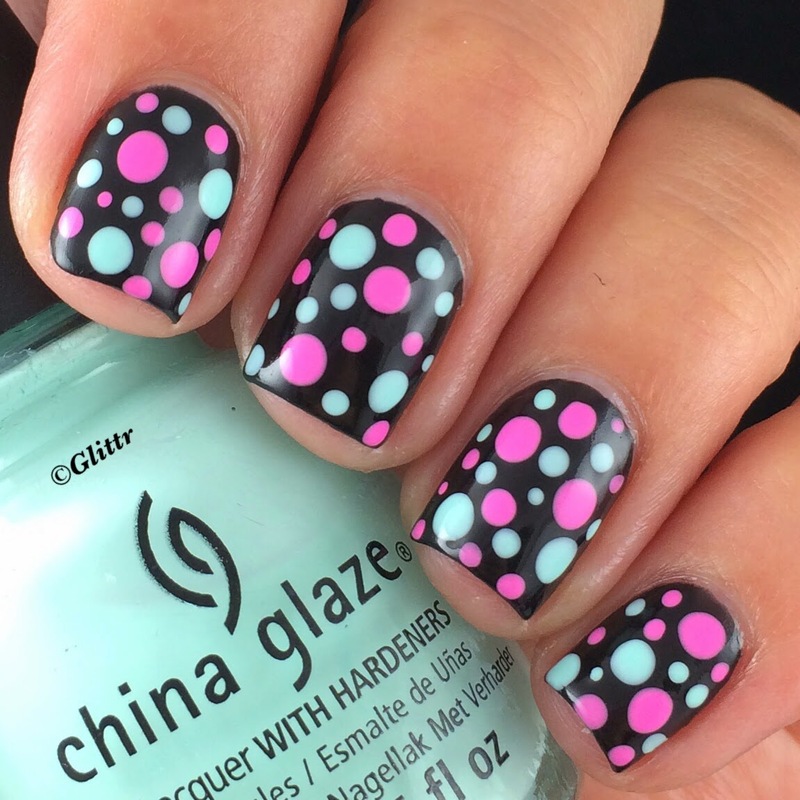 Both are some of my overall ChinaGlaze favourites!